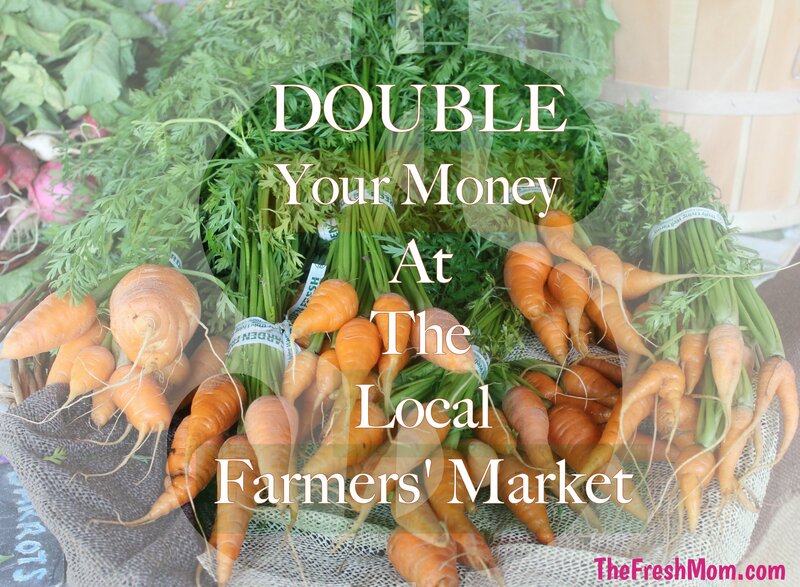 As if shopping at the farmers’ market isn’t already exciting enough… Now you can double up on all of your fresh goodies thanks to some thoughtful people over at Wholesome Wave Georgia. Ever heard of their Double Value Coupon Program? It’s really simple. If you receive SNAP (Supplemental Nutrition Assistance Program) benefits aka Food Stamps you are able to go to any of Wholesome Wave’s partner farmers’ markets and for each $1 that you spend you receive $2 worth of food. Just like that! No gimmicks, additional coupons, or applications required. On top of that, the farmers who supplied the food also get an extra $1! This program is SO COOL to me. But since we don’t receive SNAP benefits I’ve made it my mission to spread the word to those who do. If we did get them I would definitely take advantage of it. It’s a win-win for everyone! Here’s a list of all of the participating markets. Be sure to read the list carefully. I’ve actually made the mistake of directing someone to a popular market here in Atlanta and they were not a participants in the program. WWG boasts a high success rate, with 91% of program participants claiming an increase in consumption of fresh, locally produced fruits and vegetables. Since 2009, they’ve helped over 31,000 families and put $1.4 million back into local food economies. In 2014 alone, WWG doubled $170,000 in state and federal nutrition benefits spent at partner markets across the state, resulting in $340,000 worth of good food for those with limited access and $340,000 in business for local farmers and food producers. Just like Wholesome Wave, I believe all Georgians should have access to fresh, healthy, local food. Don’t you? Please pay it forward and share this information with someone else. In my next few #FarmersMarketFriday posts I’ll share details of my visits to some of the markets mentioned in the list above.